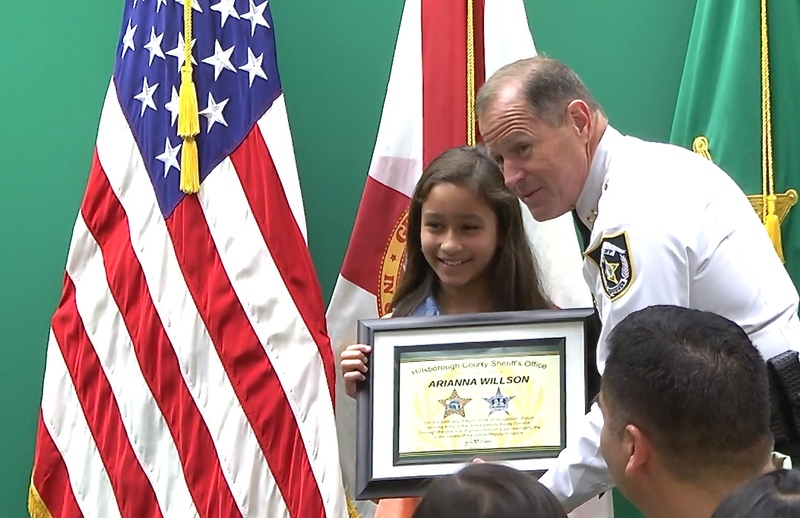 Area fifth grade students enjoyed the spotlight last month as the winners of the Hillsborough County Sheriff Junior Deputy Essay contest, among them Arianna Willson and Andrew Shaw, representing FishHawk Creek and Lithia Springs Elementary schools respectively. Seffner Elementary School students Garry Savary and Dannielle Vigil completed the list of four of the 10 winners representing Seffner, Valrico, Bloomingdale and Lithia communities. In their essays, the students commented on the dangers of being involved with gangs, drugs, internet predators and shoplifting, just to name a few. Willson, who loves writing and gets her inspiration from her uncle, spent about two weeks on the project before presenting the final product. For their talent and effort, the winners were awarded a certificate along with a Kindle Fire HD and a $25 gift check. 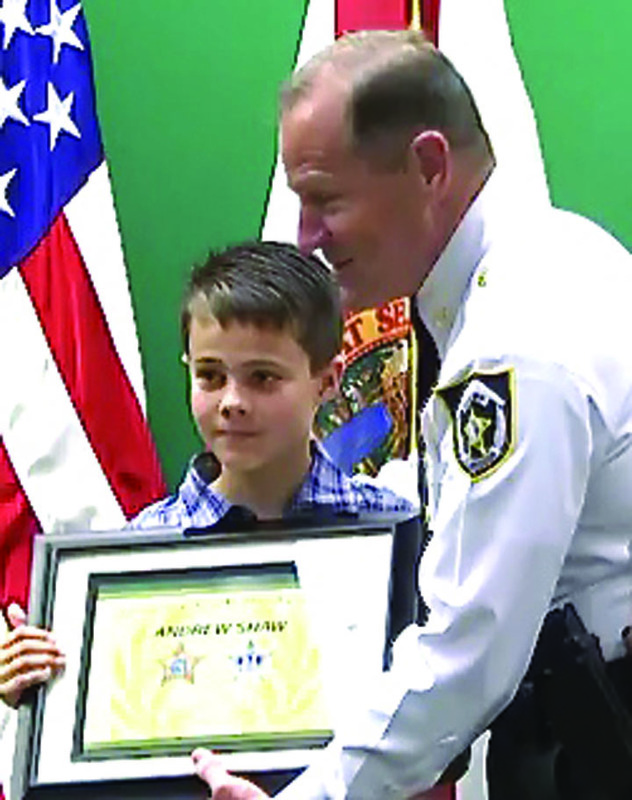 Montoute explained that the Sheriff’s Junior Deputies League has provided educational programs to the students of Hillsborough County for more than 40 years. The Junior Deputy Program is funded through annual donations from the community and funds requested by the Sheriff’s Office through the Law Enforcement Trust Fund (LETF). As for Arianna, the win is just a stepping stone toward fulfilling her goal of writing children’s books and being involved in elementary education. For more information, visit www.hcso.tampa.fl.us.